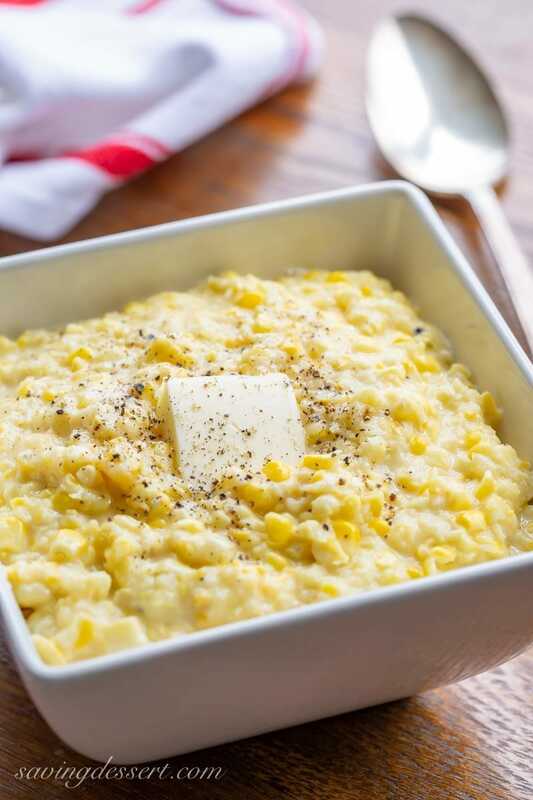 Watch our ‘corny’ little video for Mom’s Skillet Corn! 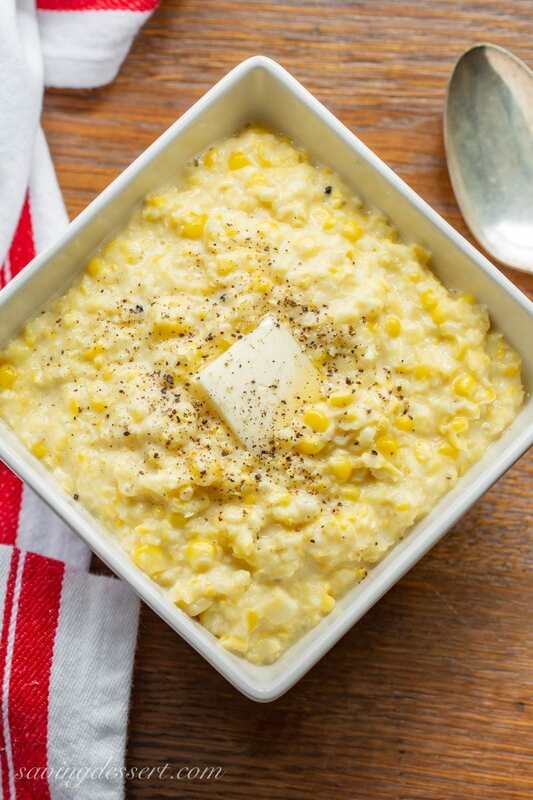 Mom’s Skillet Corn – Also called creamed corn or fried corn, this easy summer side is made with sweet, fresh ears of corn cut from the cob and combined with butter, milk, and a little cornstarch for thickening. My mom was a good cook, but probably a better baker. She made normal, everyday dishes that were not exceptionally fancy, but always good. She cooked a lot of vegetables, casseroles, roasts, chicken, jelly, jams, relish, pickles, and some pretty wonderful biscuits. She also made great pies, cobblers and very pretty cakes. I wish I’d spent more time with her learning how to ‘can’ fresh fruits and vegetables. Every summer Mom drove 500+ miles, one way, to visit her Mother and help harvest and can her home grown vegetables. They spent two weeks picking, peeling, cooking, pickling and canning. I think those were some of Mom’s happiest times. 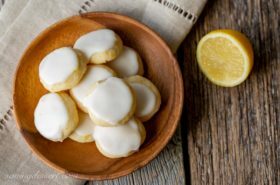 Some things Mom made were memorable, easy and delicious and this is one of those recipes. 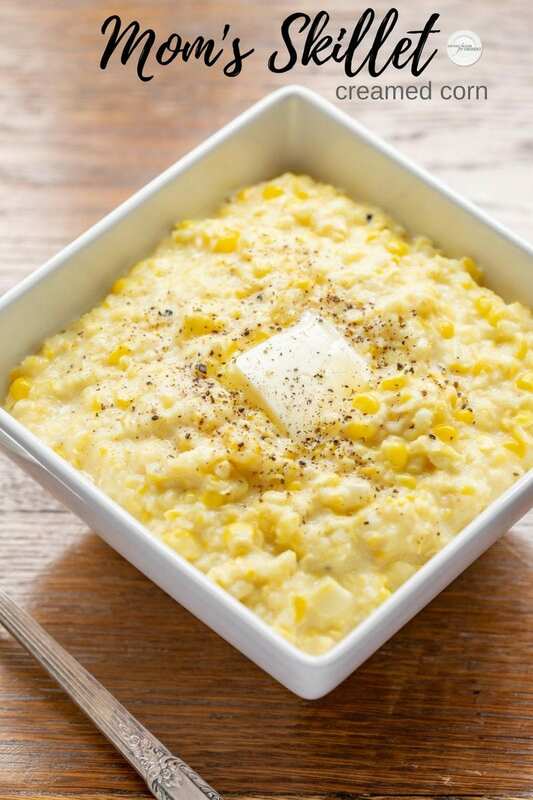 You may have heard this called creamed corn, skillet corn or fried corn. It doesn’t matter what you call it – just call me when it’s ready! the silk should be a little dry at the ends. I learned to make Mom’s Skillet Corn while still living at home, many, many moons ago. Mom didn’t own a food processor so that was a process I added when I got my first amazing Cuisinart. 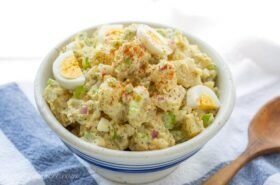 You don’t have to use a food processor to make this recipe, so no worries if you don’t have one. 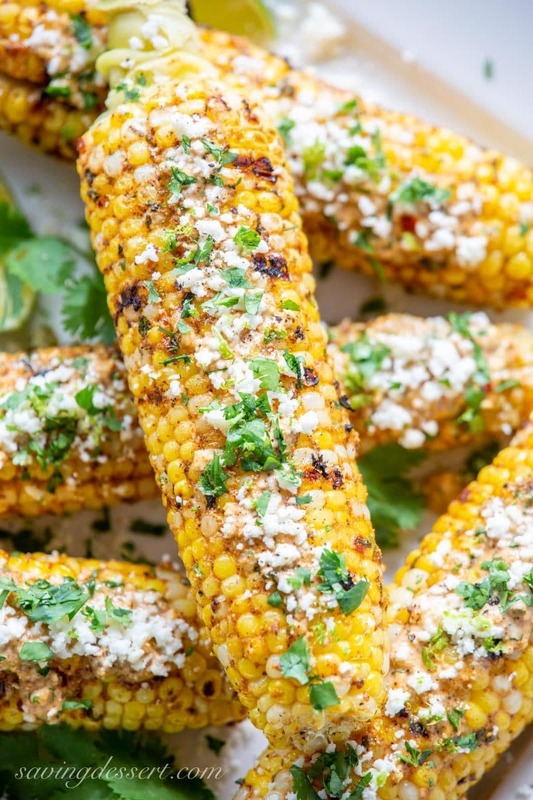 Grilled Mexican Street Corn (Elote) – fresh sweet summer corn slathered in a mixture of mayonnaise, garlic, lime juice, chili powder and Cotija cheese then grilled to perfection. The end result is the perfect combination of salty, spicy, and tangy, and it’s utterly addicting! Corn & Zucchini Casserole ~ Summer vegetables are plentiful in this crustless quiche-like casserole. Delicious for breakfast, brunch or a meatless dinner everyone will enjoy. Fried Corn, Skillet Corn or Creamed Corn - whatever you call it, it's all good! Cut the corn kernels from the cobs. Reserve the corn cobs. Measure out 1 cup corn kernels and set aside. Add the remaining kernels to a food processor and pulse 6-7 times or until creamy. Using a dull knife, scrape the pulp and milk from the reserved corn cobs and add to the creamed kernels. In a two cup measuring cup, whisk together the milk and cornstarch. Set aside. Melt butter over medium heat in a large skillet. Add the whole corn kernels, processed corn, corn pulp, salt, pepper and sugar. Sauté for 2-3 minutes. Add the milk and cornstarch mixture. 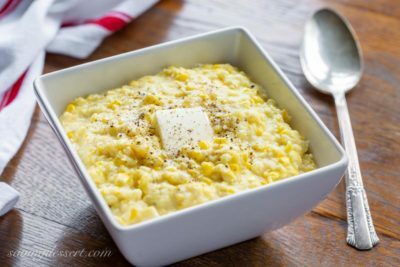 Bring the corn to a boil, then reduce the heat to low and simmer until the corn is thick and creamy. Add more milk or cornstarch if needed for desired consistency. Serve with extra butter and more ground black pepper if desired. 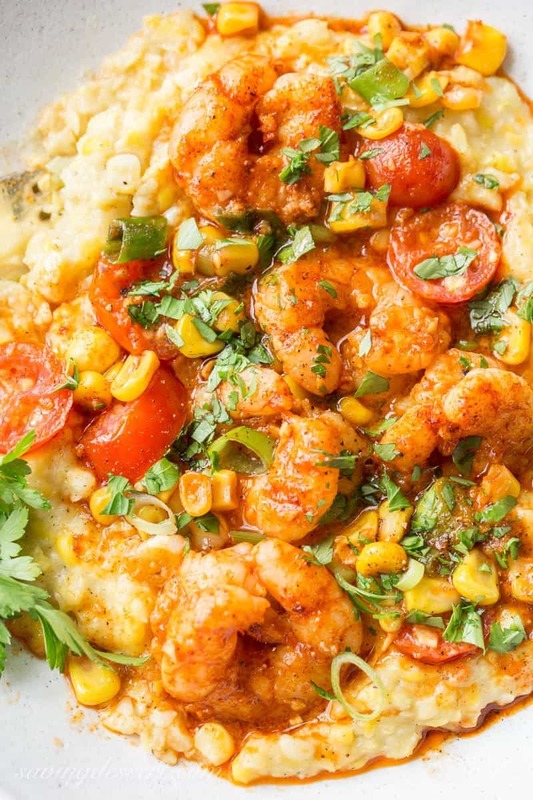 If you’re still covered up with corn, you might want to try some of these great recipes from some of our favorite bloggers. This Scalloped Corn and Broccoli recipe sounds terrific – another winner from Deborah at Taste and Tell. I’m so curious about this Sweet Corn Gelato from Martha at A Family Feast. Doesn’t it sound wonderful? And finally, I’m loving this Charred Corn and Bean Salad ~ everybody’s favorite healthy summer salad gets a delicious makeover with sweet corn that’s been blackened on the grill. 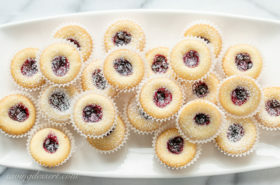 Another creative and beautiful recipe from Sue at The View from Great Island. 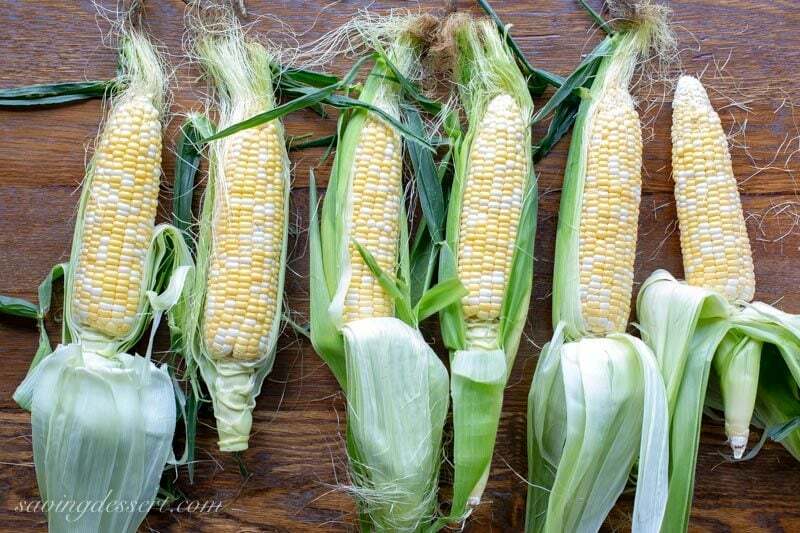 Such a lovely way to enjoy Summer corn and even better when it’s from Mom! That looks so creamy and delicious I can’t stand it! I love that it’s so ‘creamy’ without any cream! Yes – gotta love creamy corn 😉 Thanks Sue. This looks so creamy and delicious, Tricia. I love making corn this way in the summer but I don’t add milk or cornstarch either. No corn stuck between your teeth from eating it off the cobs and no butter dripping down your chin 🙂 Perfect! 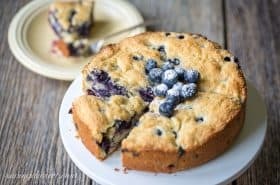 Simple recipes are the best Susan – thanks so much! 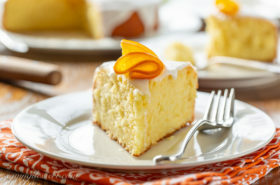 Looks so creamy, summery and delicious! I still haven’t had any fresh corn this summer yet…now you have me want to rush to the supermarket to get some! Hope you find some soon Angie – it’s here for such a short time and so delicious. Love this dish! 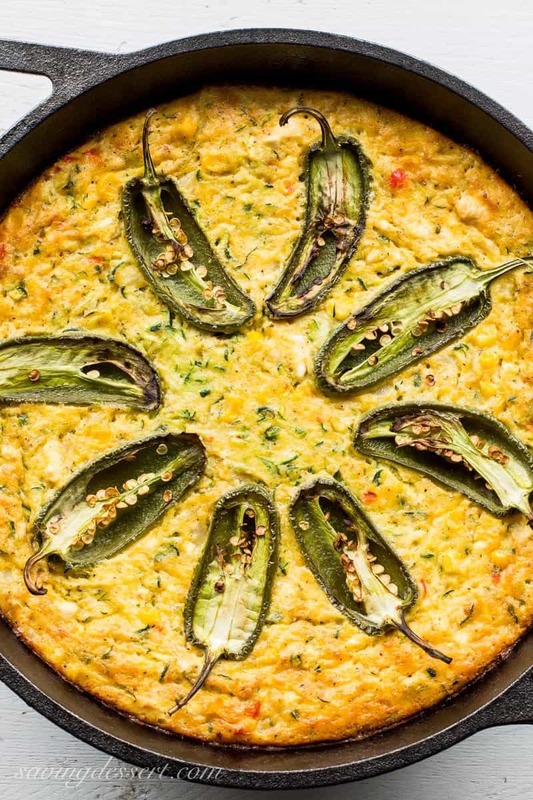 I usually call it creamed corn, but skillet corn is a better name, I think. And we’re enjoying such wonderful corn at the moment, aren’t we? This is a great way to use it — thanks! Yes, Tricia! Woo hoo!!! It’s fried corn to me and yours looks delicious — one of my faves in the summer! I like it drier, with just a little milk but any way is fine really. Thanks and have a wonderful day! Good looking corn dishes. Growing up I think we only ate fresh corn from the cob and creamed was made from canned corn. It stayed that way until I met Bev and corn was cut from the cob and cooked in butter – similar to yours but without the milk. Thanks Larry – I could eat corn in anything myself. Bev’s recipe sounds great too! Oh my gosh, this is definitely an edible memory for me. This looks just like my own mom's recipe. Guess what I'm addinf to our menu for Father's Day? Thanks for the inspiration! Do you know that I've never made creamed corn? I'm going to pick up some more corn this week and make this asap! It looks perfect.